We've had our first ride! 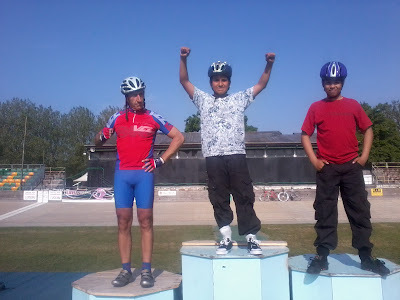 Okay, so we only had two lads from Lilian Baylis - but they had a fantastic time riding the Herne Hill track, thanks to Judith, our instructor, who introduced us all to fixed-gear riding with feet strapped to the pedals! It's quite daunting getting going knowing that if you stop you're falling over and the surface is like very coarse sand-paper. We're all keen to have another go on the track and I'm sure out next ride down there will be packed out. 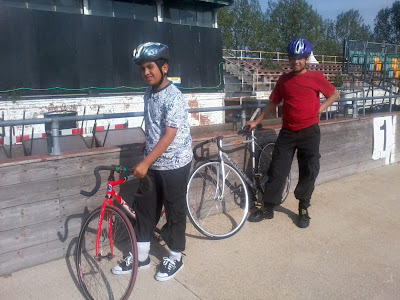 We had a fast ride down from Kennington, through Brixton. 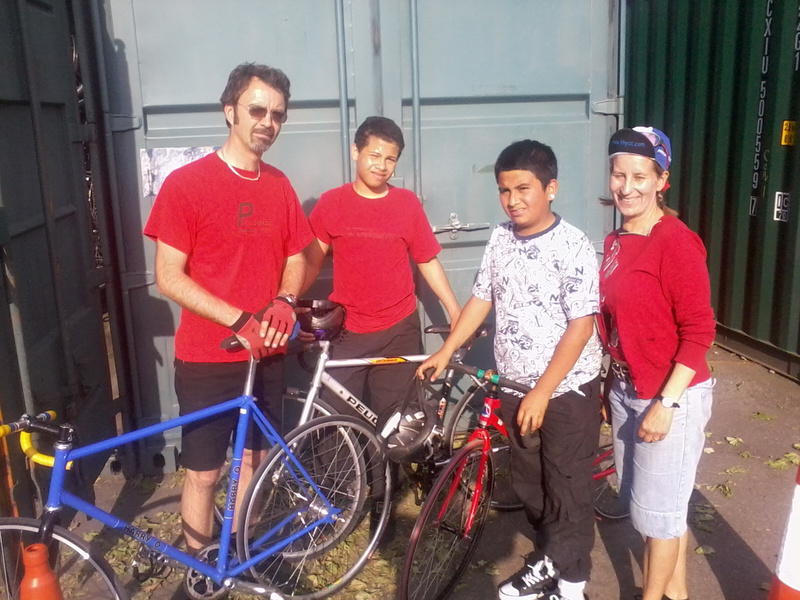 As I hoped would happen, one of the boys said, "Wow, is this all the time it takes to cycle to Brixton?". A good chance to show on the map where else was within a comfortable 20 minute cycle ride. 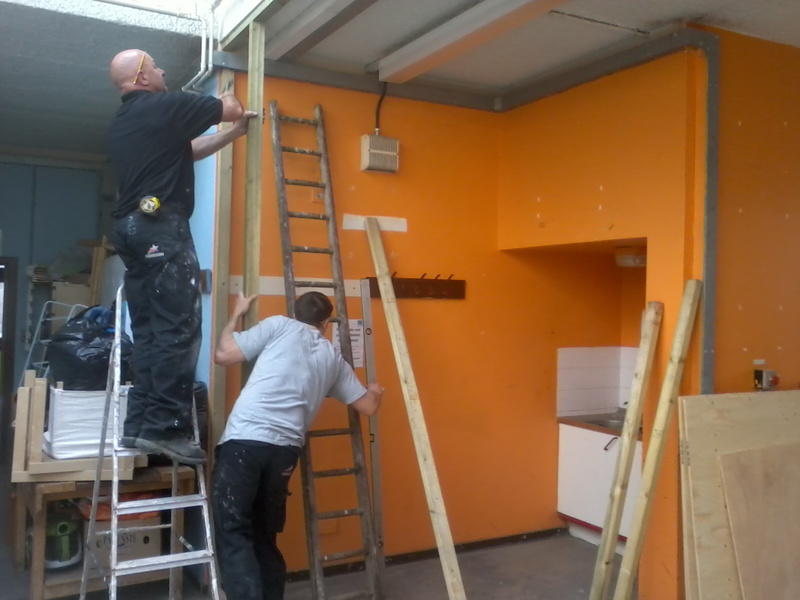 The stud wall has gone in to the new space in the Lilian Baylis Community Hub and lighting goes in tomorrow. It looks as though, thanks to the work of Ben Stephenson, Public Realm Manager of the South Bank Employers Group, we'll be getting some bikes donated from SBEG companies. The first ride with Lilian Baylis pupils along the river is planned for this Wednesday and we're off to try Track Riding at Herne Hill Velodrome next Tuesday. 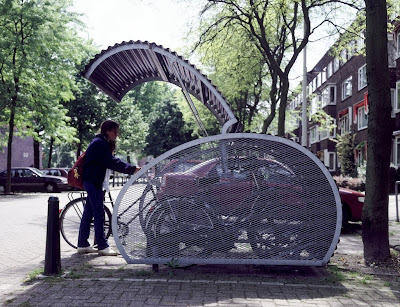 Though not one of the makes currently proposed, I think this may be an option for some residents' cycle parking in the Kennington area. I saw these in Rotterdam recently and was impressed, though I'd want to be sure I could lock the frame to something secure inside too. 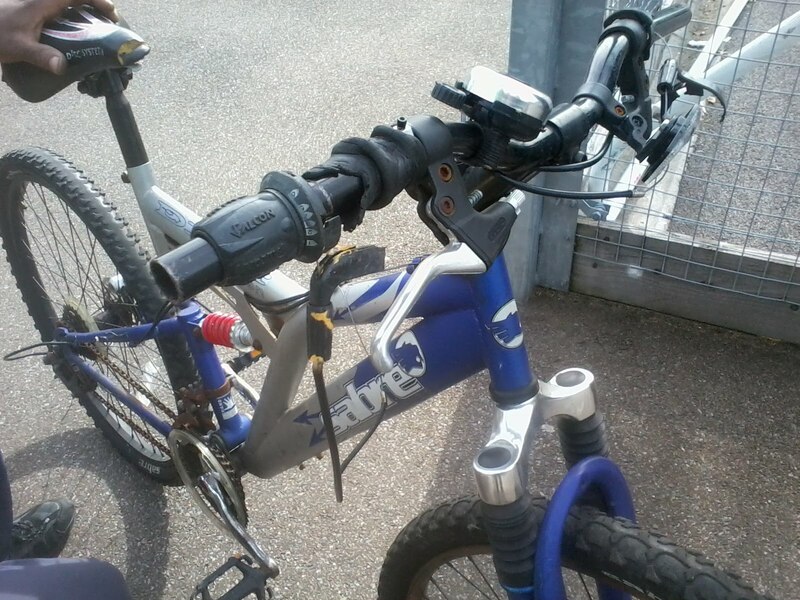 Our Dr Bike on the 28th April at Lilian Baylis Technology School didn't have many bikes turning up with a short lead in to promote it. However one enterprising lad nipped home and returned with his bike that needed new brake cables and outers; new gear cables, new gear shifters; major saddle readjustment and comprehensive lubrication! Ola and Marcel did great work with cables, oil and a donated gear shifter that I had put aside on the off-chance of needing one. End result one happy cyclist. 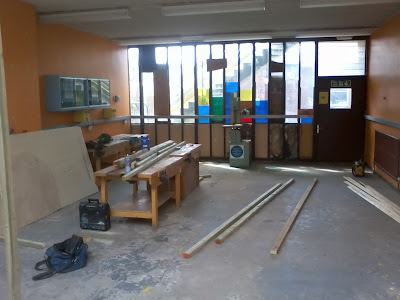 Cleared of most of the furniture that was stored there - I imagine we'll clutter it up again once the wall is in, so this may be as clear as you'll see the space. The imminent Pedal Power space has been cleared of furniture being stored and work has started on building the wall that's needed before we can move in. 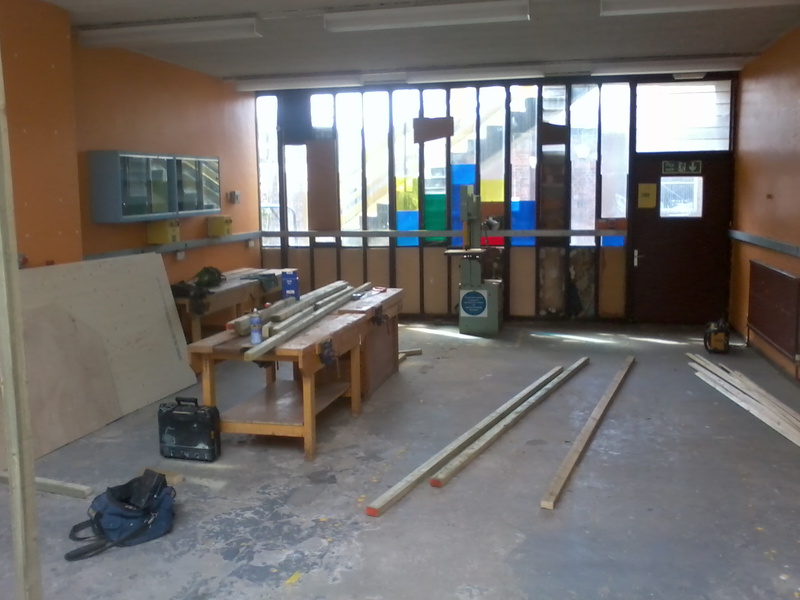 Fingers crossed we'll be up and running before the end of May. Do you really need a van? Darwin's Sandwich deliveries bikes and trailers are an impressive urban delivery solution and the company is based in Sail Street directly opposite Pimlico Plumbers. 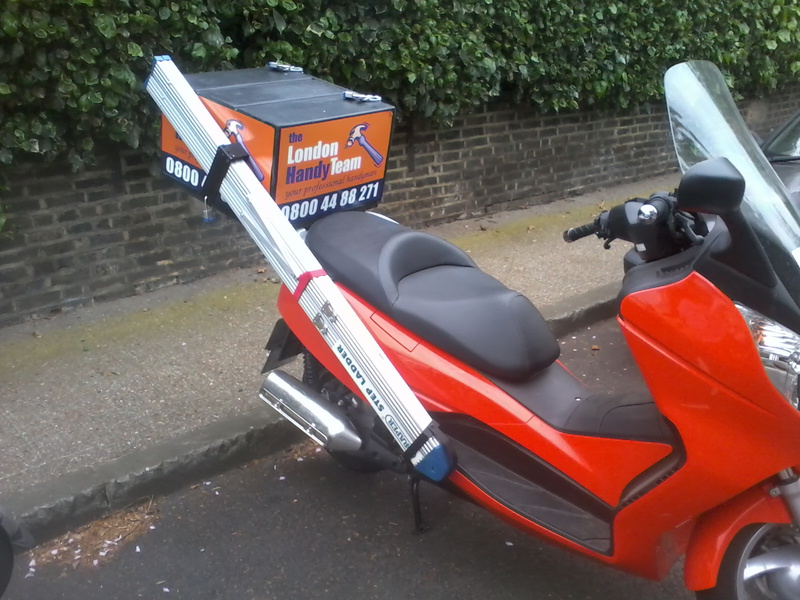 I doubt that PP really need to send a van to every job, and seeing this scooter, with its neatly folding Draper Step Ladder attached reinforces my doubt. The same sort of arrangement could be fitted on a pedal bike too.